Welcome to Day 12 of my #100DaysofBulletJournalIdeas Project! 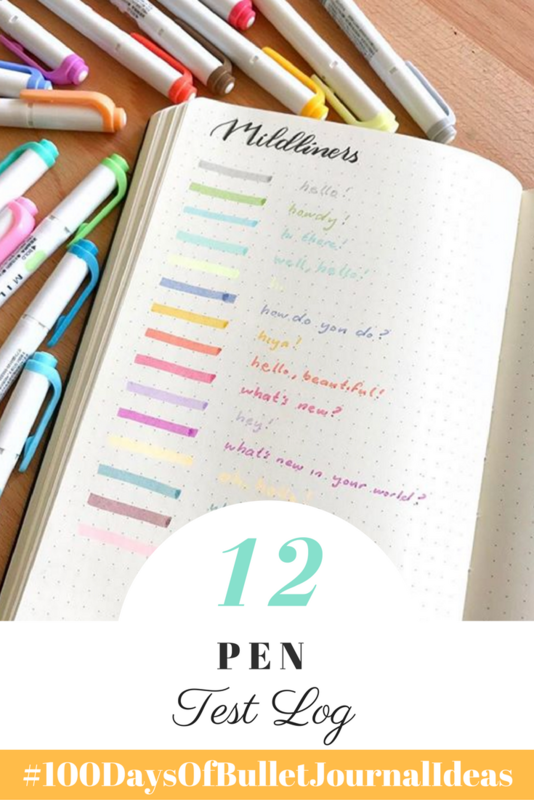 This is a pretty straightforward idea, you create a log where you test out your pens to see whether there is any ghosting or bleeding through the pages of your Bullet Journal. For example, I recently I did a pen test at the back of my Bullet Journal to test out the new Zebra Mildliners I got. If you want to have a little more order, you could add columns for the brand, what type of pen it is, and the nib size. If you'd like to see what the other side of this pen test for the Leuchtturm1917 looked like, check out the full Leuchtturm1917 review I did. 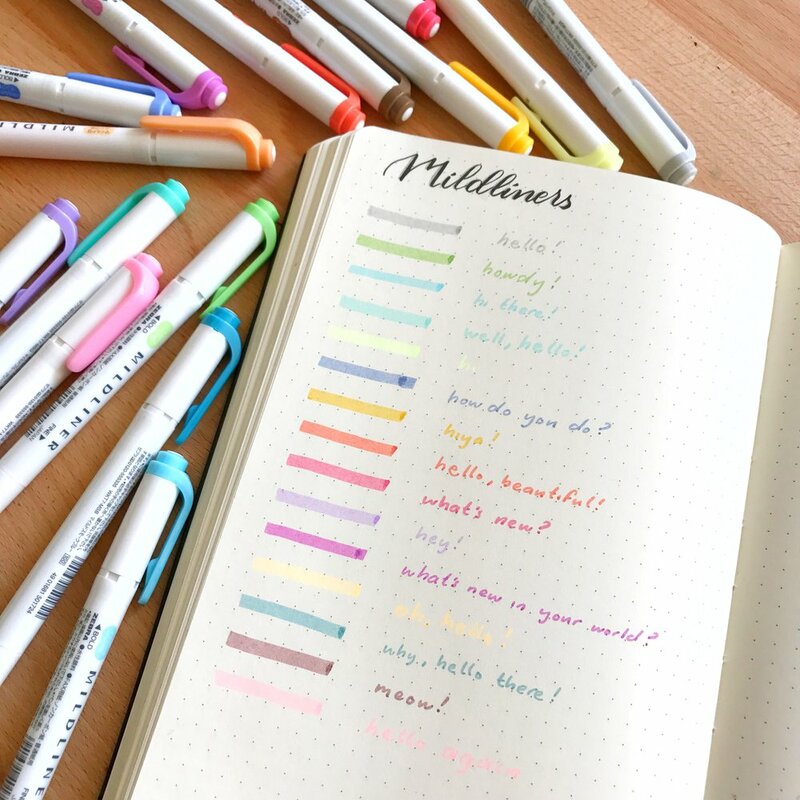 Do you keep a pen test log in your Bullet Journal? This is when you can see the ink of the pen on the other side. This doesn't bother me, but understandable that it would bother others. Conducting a pen test will help you see whether a pen will show-through/ghost on the other side. This is when the ink seeps through to the other side of the page.